Dr. Vijeta Singh graduated near the top of his class and received state scholarships for her grades and excellence in her coursework. Dr. Vijeta also completed an internship at Rama Dental College Hospital and Research Centre, Kanpur where she spent a years in all major departments of dental hospital treating heavy patient footfall. After that she worked at Seema Dental clinic (part of Aashvi Hospital) for almost 3 years utilizing her knowledge and passion for dentistry. 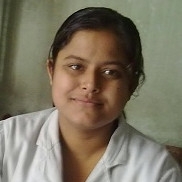 She has helped several patients to quit tobacco which is a very common problem in Kanpur. She has moved to New Delhi last year and started practicing in private clinic and few NGOs.